Start off your visit on the 29th (Sun): trek along Kuniya Walk, then explore the activities along Mutitjulu Waterhole, then take in the dramatic natural features at Uluru, and finally hike along Uluru Hiking Path. On the 30th (Mon), you'll have a packed day of sightseeing: head outdoors with Walpa Gorge, then explore the striking landscape at Kata Tjuta, and then get answers to all your questions at Uluru-Kata Tjuta Cultural Centre. For ratings, reviews, maps, and more tourist information, read our Uluru-Kata Tjuta National Park online tour planner . Toronto, Canada to Uluru-Kata Tjuta National Park is an approximately 30-hour flight. You can also do a combination of train, car, and flight; or do a combination of flight and car. 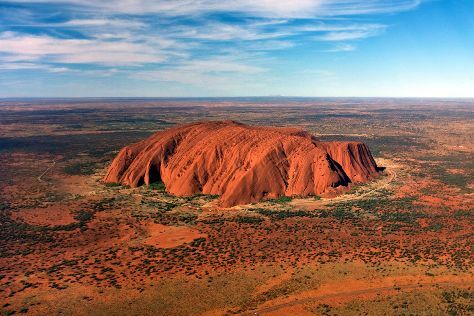 Due to the time zone difference, you'll lose 14 hours traveling from Toronto to Uluru-Kata Tjuta National Park. Prepare for much hotter weather when traveling from Toronto in December: high temperatures in Uluru-Kata Tjuta National Park hover around 42°C and lows are around 24°C. Finish your sightseeing early on the 30th (Mon) to allow enough time to travel to Port Douglas. Get outdoors at Safaris and Hartley's Crocodile Adventures. Take a break from Port Douglas with a short trip to Palm Cove Beach in Palm Cove, about 42 minutes away. Spend the 31st (Tue) among aquatic life with a scuba or snorkeling tour. You can do a combination of flight and shuttle from Uluru-Kata Tjuta National Park to Port Douglas in 6 hours. Another option is to drive. While traveling from Uluru-Kata Tjuta National Park, expect slightly colder days and about the same nights in Port Douglas, ranging from highs of 36°C to lows of 26°C. 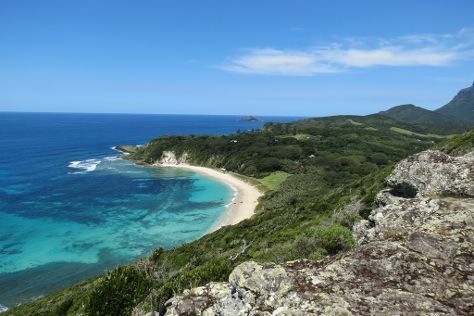 Finish your sightseeing early on the 2nd (Thu) so you can travel to Lord Howe Island. Kick off your visit on the 3rd (Fri): learn more about the world around you at Lord Howe Island Museum, then kick back and relax at Lagoon Beach, and then kick back and relax at Ned's Beach. To see traveler tips, photos, reviews, and other tourist information, refer to the Lord Howe Island trip maker site . Do a combination of shuttle and flight from Port Douglas to Lord Howe Island in 7.5 hours. Wrap up your sightseeing on the 3rd (Fri) early enough to travel to Sydney. 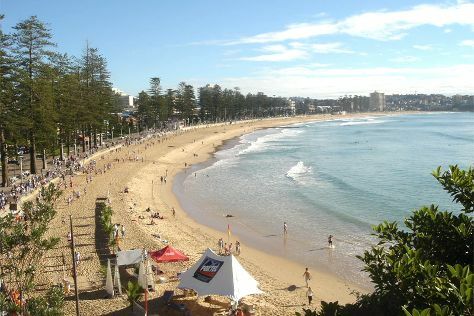 Visiting Manly Beach and Bondi Beach will get you outdoors. There's still lots to do: take a stroll through Darling Harbour, snap pictures at Sydney Harbour Bridge, appreciate the extensive heritage of The Rocks, and admire the landmark architecture of Sydney Opera House. For maps, ratings, traveler tips, and other tourist information, go to the Sydney trip planner. You can fly from Lord Howe Island to Sydney in 3.5 hours. In January, plan for daily highs up to 32°C, and evening lows to 23°C. Wrap up your sightseeing by early afternoon on the 6th (Mon) to allow time for travel back home.